Study daily, 25 latest current affairs & news headlines in English, To crack all competitive exams easily with The Tutors Academy. 1. NDA candidate and JD(U) MP Harivansh was elected the Deputy Chairman of the Rajya Sabha on Thursday, defeating Opposition candidate and Congress MP B.K. Hariprasad. In 2014, he was nominated to the Rajya Sabha for the first time by the Janata Dal (U), and it is the first time that a single term MP is being appointed Deputy Chairperson. The Supreme Court has finalised the new Constitution for the Board of Control for Cricket in India (BCCI), rejecting the ‘one State-one vote’ recommendation of the Justice R.M. Lodha Committee and altering the cooling-off period for cricket bosses. (25 latest current affairs and news headlines from The Hindu with The Tutors Academy. 3. The Coast Guard Development Plan 2012-17 mulls setting up of two Coast Guard Air Stations (CGASs) and seven Coast Guard Air Enclaves (CGAEs) for carrying out operations effectively. “At the end of the plan period, despite government sanction, the force could not commission these air units even after a lapse of 51-95 months from the date of sanction. 4. 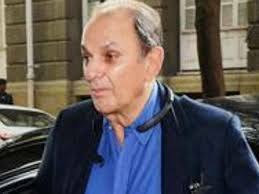 The Bombay High Court has allowed Wadia Group chairman Nusli Neville Wadia to replace his late mother Dina Wadia as a petitioner in a case she filed to claim the ownership of Muhammad Ali Jinnah’s house here. 5. In just under 12 months since its introduction in Parliament, the Centre has quietly withdrawn the Financial Resolution and Deposit Insurance Bill, 2017. Get daily, 25 latest current affairs & news headlines in English, to crack all competitive exams like NDA, CDS, Navy, and AirForce with The Tutors Academy. 6. India took a giant step towards the protection of its women and children when the Criminal Law (Amendment) Act was passed by the Lok Sabha in 2013. Section 370 of the Indian Penal Code (IPC) was substituted with Sections 370 and 370A, which defined trafficking and laid out the punishment for it. In the case of trafficking, data show that despite the 2013 law, there has been an increase in the number of victims of human trafficking. It is to tackle this menace that the comprehensive Trafficking of Persons (Prevention, Protection and Rehabilitation) Bill, 2018, was passed. 7. On July 2, the Madras High Court directed the Indian Institute of Technology, Kanpur to redo its rank list for this year’s IIT Joint Entrance Examination. This followed from a writ petition filed by a student who contended it was not fair to give equal preference to those who had properly followed the instructions in the question paper and those who hadn’t. As per the instructions, all numerical answers had to be rounded off to the second decimal place. Therefore, the petitioner contended, even if the answer was an integer, say, 7, it had to be written as 7.00. The court allowed this contention and ruled that those who had followed the instructions correctly would have to be ranked above those who did not do so. When IIT Kanpur appealed this decision, a division bench of the Madras High Court stayed the previous order calling it “unwarranted”. 8. The Scheduled Castes and the Scheduled Tribes (Prevention of Atrocities) Amendment Bill, 2018 overrides a March 20 judgment of the Supreme Court, which restricted the powers of the police under the Code of Criminal Procedure to arrest a suspect. The verdict also read down a specific bar in the Atrocities Act of 1989 against anticipatory bail. Accused persons were not allowed to seek anticipatory bail to thwart arrest. The 2018 Bill, passed by the Lok Sabha even as the government’s review petition is pending in the Supreme Court, overcomes the March 20 judgment by amending the 1989 Act to introduce Section 18A. This provision does away with the need for a preliminary inquiry or requirement for an investigating officer to take prior approval from his superior before registering an FIR on a complaint under the Act. The Bill brings back the bar on accused seeking anticipatory bail. It says the provision of Section 438 (anticipatory bail) of the Code shall not apply to a case under this Act, notwithstanding any judgment/order of any court. The Rajya Sabha on Thursday unanimously cleared the amendments to the Scheduled Castes and Scheduled Tribes (Prevention of Atrocities) Act, overturning a March 2018 Supreme Court judgment pertaining to safeguard against the arrests under the Act. This refers to a learning technique which involves teaching a concept that one wants to learn to someone else in order to understand it better. A learner must first identify and try to explain the concept that he wants to learn in a simple manner to a toddler through the use of examples and other easy tools. He must then try to review and identify gaps in his own understanding of the concept that were revealed while trying to explain the concept. Afterwards, if necessary, he can try to further simplify the concept. The technique is named after American physicist Richard Feynman. 11. The National Sports University Bill and the Homoeopathy Central Council (Amendment) Bill were passed in the Rajya Sabha on Thursday. The National Sports University Bill, for setting up of a National Sports University in Manipur to promote education in areas of sports sciences, technology, management and coaching, was discussed and passed. The Homoeopathy Central Council (Amendment) Bill, as cleared by the Lok Sabha, was passed by voice vote. It provides for replacement of the Central Council of Homoeopathy with a board of governors. 12. India has gained exponentially from the Indo-U.S. civilian nuclear deal, said former Foreign Secretary Shyam Saran, at an event to mark 10 years since U.S. nuclear restrictions were lifted on India. He listed permanent access to nuclear fuel and a change in international perception as the biggest benefits for India since the U.S. Congress passed the deal in September 2008. The Nuclear Suppliers group had made 1967 the cut-off date for declaring nuclear powers, which India missed as it conducted its first nuclear test in 1974, which resulted in sanctions and cutting off of assistance from western countries. In 1998, after the Pokhran tests, India faced further sanctions, which led to many hardships, said Mr. Jaishankar, as he described the journey to 2005, when India and the U.S. signed a breakthrough defence framework agreement that changed the course of the relationships. 13. Venezuela’s crude shipments to India, its third largest export market after the U.S. and China, fell 21% in the first six months of the year, but the country’s Ambassador in Delhi has said plans are on to boost production at home and that oil trade with India will continue unabated despite U.S. sanctions. 14.The United Arab Emirates (UAE) has emerged as the top source of inward remittances, while Kerala has received the maximum funds sent from abroad, according to the Reserve Bank of India’s survey of inward remittances for 2016-17. 15.Having procured an all-time high amount of pulses from farmers over the past two years, the Centre has now decided to offload stock from its overflowing warehouses by selling it to States for use in welfare schemes at a discount of ₹15 per kg over the wholesale rate. 16.The Union Cabinet on Thursday gave its approval for raising four more battalions of the National Disaster Response Force (NDRF) at an estimated cost of ₹637 crore. The aim is to reduce the response time, keeping in view the country’s vast geographic area, an official statement said. 17.The government on Thursday approved the continuation of the Pradhan Mantri Gram Sadak Yojana (PMGSY) beyond the 12th five year plan period. The decision taken by the Cabinet Committee on Economic Affairs would help in connecting 38,412 habitations at an estimated cost of ₹84, 934 crore. 18.NCW member Rekha Sharma, 54 has been appointed as the Chairperson of the National Commission for Women. 19.The Modi government on Thursday extended the term of Telecom Regulatory Authority (TRAI) Chairman R.S. Sharma till September 2020. 21.Continental AG, a German maker of automotive components, plans to invest a “high three-digit crore rupees” within the next two years in India and plans to ramp up the number of employees in the country to 10,000 over the same period. Get daily, 25 latest current affairs and news headlines in English with The Tutors Academy. 22.HDFC Bank, the second largest private sector lender in the country, is yet to sign the Inter-Creditor Agreement (ICA) — an understanding among lenders to resolve stressed assets quickly. As many as 29 lenders have signed the ICA, which was framed under the aegis of the Indian Banks’ Association last month, following the Sunil Mehta Committee’s recommendation. The ICA is applicable to all corporate borrowers who have availed loans for an amount of ₹50 crore or more under consortium lending/multiple banking arrangements. 23. Taiwan’s Wistron, a contract manufacturer of Apple iPhones in India, plans to invest ₹1,150 crore in Karnataka during the first phase of operations, said Gaurav Gupta, Principal Secretary, Information Technology, Bio-Technology and Science and Technology to the State government. 24. The fifth edition of the Indian Super League (ISL) will begin in September. 25. Spain’s Kepa Arrizabalaga became the most expensive goalkeeper in history on Wednesday after Chelsea confirmed his £71.6 million move from Athletic Bilbao. The 23-year-old has signed a seven-year contract with the English giants. Get daily 25 latest current affairs & news headlines in English, To crack all competitive exams. 1- mass noun (of two or more people) fully in agreement. 1.1-(of an opinion, decision, or vote) held or carried by everyone involved. Study daily 25 latest current affairs & news headlines in English with The Tutors Academy.